This comic from the Tom Kelly Collection has been archively stored for many years. It is in about Near Mint condition. All are complete unless noted otherwise. 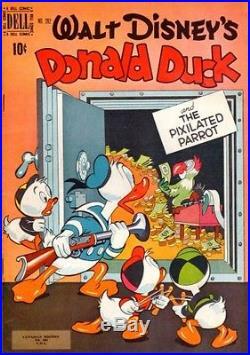 The item “PcDisney-CANADIAN-Four Color 282-Donald Duck and The Pixilated Parret-RARE” is in sale since Saturday, September 22, 2012. 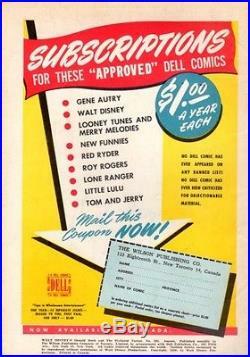 This item is in the category “Collectibles\Disneyana\Vintage (Pre-1968)\Comics”. The seller is “tomkellyarchives” and is located in Saint Louis, Missouri. This item can be shipped worldwide.